They say that Ireland is a land full of 'thin places,' those special places where heaven and earth touch shoulders and the veil between them is thin. In those places, wisdom sits and the Spirit is strong. Man can be touched and changed there. Sometimes these places are sacred sites; sometimes a thin place is a mountaintop or a pile of rocks. Thin places are personal; not everyone feels them the same. 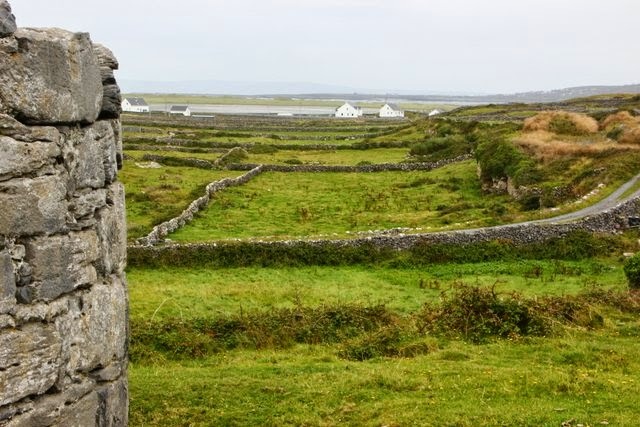 For me, Inis Mor, one of the Aran Islands, is a thin place. 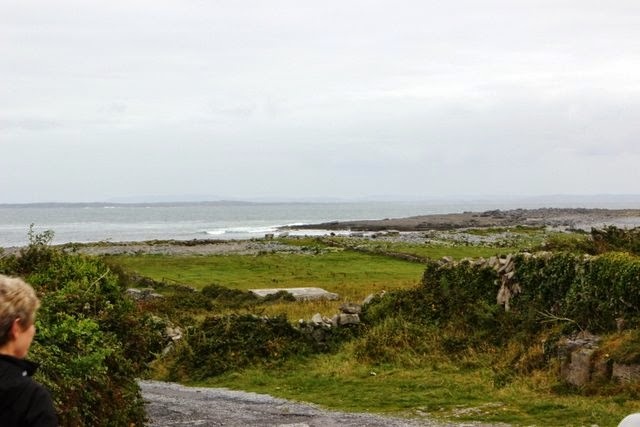 It's the largest of the group of islands sitting in the mouth of Galway Bay. With a total area of about 12 square miles, it holds 27 nationally-protected historic sites, most of them spiritual. There are the remains of 10 monasteries and the landscape is dotted with numerous holy wells, standing stones, burial sites of saints, hermit cells, oratories, Celtic crosses, a round tower and a ancient sundial. No wonder the Spirit feels close here! 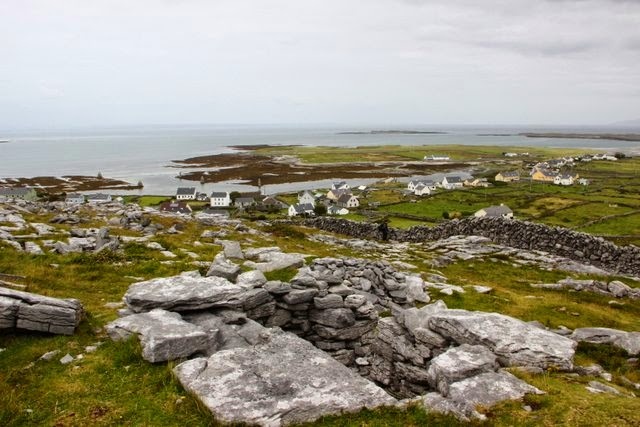 The island itself is an extension of the Burren and is made up of rugged limestone, littered with rocks. Good for building, but not so good for crops or even livestock. Life was, and remains, hard here. It's almost tree-free and is battered year 'round by the winds and waves of the rough Atlantic Ocean. Inis Mor is not for the faint-hearted. Yet, it's a landscape that calls to me. Of all the beautiful places I visited during my 17 days in Ireland, this is the place I'd like to return to. Inis Mor called to the ancient Celtic monks as well. I'll be sharing some of their churches and monasteries in my next post.